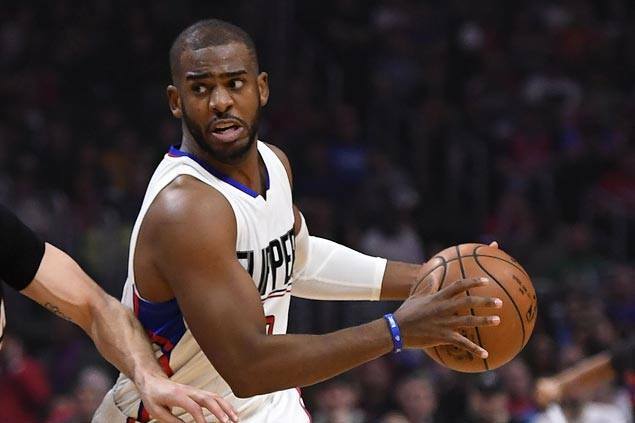 MADE out to be the villain in the Los Angeles Lakers’ failed bid to acquire Chris Paul six years ago, former NBA commissioner David Stern is now pointing to then team general manager Mitch Kupchak as the reason for the botched deal. Stern nixed the 2011 proposed trade between the then New Orleans Hornets and the Lakers, a deal that would have brought together Paul and Kobe Bryant. That wouldn’t have been the end of the proposal, insisted Stern, saying the deal could have been reworked for the Lakers to still end up with Paul. Stern says Kupchak “panicked,” and sent Lamar Odom, a crucial part of the deal, to the Dallas Mavericks. The initial plan agreed upon by three teams was Pau Gasol moving from the Lakers to the Houston Rockets, Paul from the Hornets to the Lakers, while New Orleans would get Kevin Martin, Luis Scola, Odom and Goran Dragic aside from a first round pick the next season. “… in the course of the weekend, we thought we could redo the deal,” said Stern in the Nunyo and Company podcast recorded in March and released this month. It was then reported that several team owners pressured Stern to veto the deal that would have boosted the Lakers squad that won two straight championships before a conference semifinal exit in 2011. The Lakers went on to make the conference semifinals again in 2012 but would start a decline with a first-round exit in 2013 and failure to make it the playoffs the succeeding seasons.